Cancer cells have elaborate communication among the cells in their developing community. They also converse with many other tissue cells—vascular, immune, and supportive cells nearby are cajoled into collaboration. Cancer cells signal in the same way a bacterial community does to defend itself against virus attacks and attacks from immune cells. One of the least understood processes is how cancer cells travel to distant places and produce metastatic colonies, which produces the majority of cancer deaths (90%). For metastases to develop requires elaborate communication with many different kinds of new types of cells in foreign tissues, as well as the community of cancer comrades. What has been most striking about research on cancer cells is how variable they are both among individuals, in the cancer itself, and between types of cancers. Most have multiple different mutations, varied gene networks, and different ways of enlisting cooperation of local cells in tissue, blood vessels, and neurons. Metastasis introduces even more variability. Cancer cells must travel great distances and invade new tissues and survive in a totally new environment. These cells start from the primary cancer by invading local nearby tissues and then take to traveling in the blood, where they must survive. They then must stop and exit the blood vessel into a foreign tissue. They must establish a friendly colony of comrades. The processes are variable among the 200 known cancer types. In order to navigate the establishment of an invasive life style, survival against immune and microbe attacks, and then travel to a distant locations, a fundamental fetal cellular process is used. 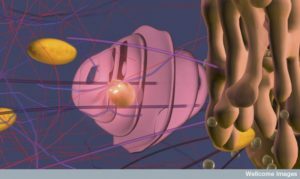 When the fetus is being formed, new cells are produced for a variety of functions. But, basically, there are two distinct types—those that create a stable structure, and those that move to new places and create unique functions. Many variations exist between these poles in these complex processes, such as forming a stable structure with exact polarized cells (a specific shape with a top and bottom) and the more loosely defined cells that create connective structure. The change from stationary structural cell to moving cells is called EMT—transition from epithelial to mesenchyme type cells. Epithelial cells are polarized and stable in place with cell adhesion and tight junctures. Mesenchyme cells are mobile, not polar, amorphous, with multiple shapes, filipodia, spindles, and big basement membranes. They create more extracellular matrix and loose connective tissue, and then migrate along the matrix they create. 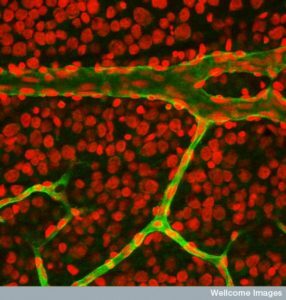 Mesenchyme cells have more active microtubules, which are constantly changing shape. In the fetus, after moving, they can change back from mesenchyme to epithelium when forming stable structures like the brain cortex. They transition in the opposite way back to epithelial cells. This transition in both directions occurs in cancers as well. Mesenchyme are also more stem cell like, and can become blood vessels of all types, bone, cartilage, and fibroblast connective tissue. They help cancers grow and make supportive structural cells to help the cancer tissue. To create a metastatic colony, first a cell must develop the capacity to travel from the original colony and survive while travelling. Please see the previous post on how difficult and complex it is for white blood cells to travel through foreign terrain to new sites. EMT alterations don’t have to wait until the primary tumor matures. It can happen even early on in cancer’s development. In fact, in many cancers, EMT changes can occur even before the tumor cells develop. Cancers start with special stem cells called cancer stem cells (CSCs) and these have the capacity to start a tumor. All cancers have at least a small number of these CSCs that some feel are what makes the cancer grow and recur. Initiating CSCs are necessary to start the metastatic colony as well. CSCs also resist treatments more. Travel occurs by two different mechanisms. One is the movement of single cells and the other is by groups of cells that travel together. The EMT changes that occur in single cells also occur to special cells that are members of groups. These cells become leaders of the movement and carry the others along. There are a series of changes in this transition that occur in sequence. It is not a simple switch. Many cancer cells have properties of both epithelial and mesenchymal cells. 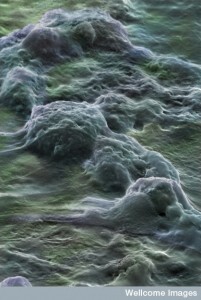 Signals from the local tissue cells called stroma (structural) stimulate the EMT changes. The local cells are enlisted as helpers of the cancer and communication with them is vital to the development and survival of cancers, and how they spread. Signals also come from immune cells that are recruited to help as well. In fact, one way to describe cancers are “wounds that don’t heal” by enlisting the ongoing effects of the immune system to help cancer’s change. “Stroma” consists of a wide variety of cells that have become activated—much as they would during an infection or healing through cytokine signals. These cells include structural connective tissue fibroblasts, muscle cells, white blood cells, lymph cells, and epithelial border cells for tissue and blood vessels. They behave as if they are part of a healing wound with intensive signaling. These signals (TGF, Wnts, etc) alter the cancer cells and start the EMT changes. The changes are variable and can be reversible. Some of EMT cells can be silent and awaiting other stimuli to progress. It is not clear exactly how EMT happens. Specific mutations can affect EMT. 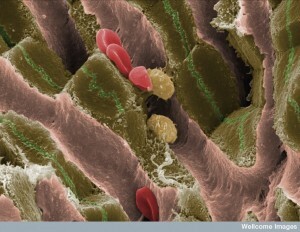 Signaling from other cells and pathways inside of the cell affect EMT. 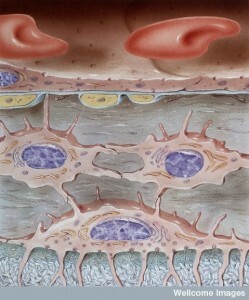 A second type of dissemination involves many cells working together. When cancers invade nearby tissues, this is not usually individual cells setting up a new niche. 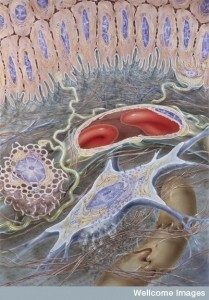 It is a migration of many cells together into the next organ. These cells are in close communication and work together unlike individual EMT cells where communication has broken down as the individual cell changes. In particular, EMT cells don’t have tight junctions anymore. These collective movements occur at the edge of invasive cancers (breast and lungs). The cells in this group still have adhesion molecules (cadherin) to maintain structure among cells even as they travel. This type of cancer can occur with multiple cells of various types that all have worked together to move. EMT cells also move together into new areas. These groups of EMT clusters can be complex with a variety of different cells with different purposes. For example, certain cells with EMT characteristics become the leading invasive edge. They are followed by a greater number of other types of cells that adhere to the leading edge cells creating structure among the cells. The followers have less EMT changes. The leading cells produce enzymes that eat up the extracellular matrix between cells to make room for all of the cells behind. The leading cells have the EMT aggressiveness and mobility. 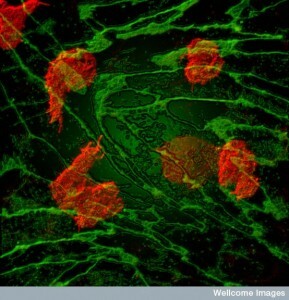 Leaders may even be different types of cells, such as fibroblasts, that undergo EMT. EMT produces a wide range of cells in the spectrum between epithelial and mesenchymal cells. The partial EMTs appears to be important in many metastatic movements. In fact, in experiments where complete change occurs to mesenchymal, these cells do not initiate cancers. In fact, the partial has the greatest ability to do so. A first step is entering blood cells for travel. Cancer can enter the vessels nearby or in the new vessels being built within the cancer that are stimulated by the cancer. Traveling cells can be individual or groups. Surprisingly, groups have the ability to stay together hooked one to one and even pass through capillaries one cell at time. In experiments, clusters are better at starting metastatic colonies. 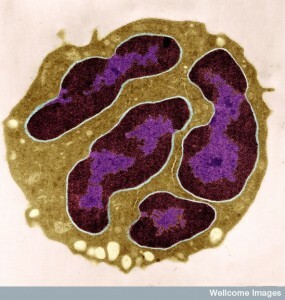 When cells are single, they are often get stuck or commit suicide. 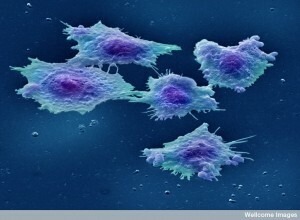 Groups can fight off killer cells better, also. Many of these cells are the partial EMTs. The more advanced the cancer or resistant to treatment, the more traveling cells are mesenchymal. Cancer cells in blood may only be there for minutes and have many barriers to landing. There are many problems for cancer cells in the blood. They don’t have supportive cells. The flow can damage them. They can be attacked more easily by immune cells, such as natural killer cells. 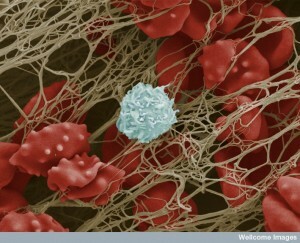 Some cells can help them such as platelets, lining cells, and other blood cells such as neutrophils and macrophages. A previous post noted that platelets are far more than plugs. They are first responders to trauma and inflammation and constantly communicate with all immune cells, blood vessel cells, and tissue cells. They make decisions about blood flow and scarring. Traveling cancer cells interact rapidly with platelets through a signal on the surface of the cancer cell. This interaction can alter the clotting such as causing small thrombi, widespread coagulation, and emboli to the lungs. 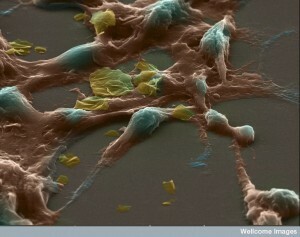 Platelets help the cancer produce a metastatic site. In fact, treatment that decreases platelets can stop metastasis and the presence of many platelets are a bad sign for cancer. Platelets can coat the cancer cell and protect it from immune cells that are chasing it and trying to destroy it. This coating can consist of fibrinogen. Specific factors TGF-b and PDGF stop natural killer cell activity. When killer cells are removed, the platelets are not as helpful so this appears to be a major effect. Surprisingly, platelet signals help cancer cells to alter their EMT status and make them better able to form metastatic sites. These signals encourage the transformation even if the local background cells haven’t already started the process. If the platelets don’t provide these signals and stimulus, the traveling cancer cell can revert back to a full epithelial cells and not become aggressive and invasive. Cancer cells signal back to platelets and encourage them to signal to the nearby lining cells, with which they have a longstanding relationship. They send signals that make the blood vessels leakier. They also help with the cluster’s ability to attach to the blood vessel cells to start their colony. White blood cells have many different states and these are triggered by signals from the cancer cells as well as the local lining and tissue cells. Signals trigger a type of neutrophil that can avoid metastasis by not allowing the cancer cells traveling in the blood from landing (in the lung for example.) Other signals to neutrophils alter them so they cannot stop the cancer. Most of the time neutrophils end up helping the cancers to land and start a colony. Platelets help attract these types of neutrophils that help the cancer. Neutrophils produce an unusual trap called neutrophil extracellular traps (NETs) by releasing DNA that forms a web like structure. Strangely, these traps designed to catch microbes, help cancer cells survive by protecting them. The traps help cancers attach to lining cells, and then help an exit from the blood vessel into tissue. For example, cancer cells trapped in NETs converse with neutrophils that maintain their survival in the lungs, and in the liver sinusoids. Neutrophils also provide enzymes that make cancer’s travel easier into extra cellular matrix. Conversations with cancer cells and neutrophils can, also, suppress immune attacks from T cells (CD8+) and natural killer cells. To cross the blood vessel lining cells and enter tissue to make a new home, cancer cells use many different signals and conversations. 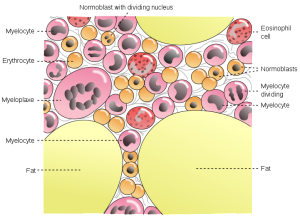 Platelets are stimulated to signal to the lining cells to loosen the junctions allowing cancer cells to travel in between the lining into tissue. This occurs by stimulating lining cells to contract and pull away from other cells. Other factors from the cancer cells help this process (ANGPTL4 in lungs; also VEGF, MMP and others). These factors were helpful when the cancer cells first left their community by pushing them out of tissue into blood vessels and here they do the opposite allowing them back into the tissues. Monocytes, also, help this process by changing from regular immune cells to cancer affiliated versions that help cancers in many ways, such as producing VEGF that helps cancers create colonies, survive, and growth. They send CCL2 to make blood vessels loosen. When researchers tried to block CCL2, monocytes became more dangerous with many more helpful monocytes in the cancer tissues. 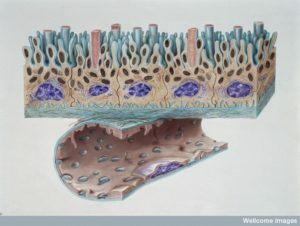 Each tissue presents unique environments and different types of conversations and signals. Most studies are in the lungs. Large sinusoids in the bone and liver allow much easier entry from blood vessels making less conversations necessary. In the brain, the blood-CSF-brain barriers must be dealt with. Breast cancer cells uniquely provide a signal that helps get permission to pass through the blood brain barrier. Some tumors just grow in the blood vessel attached to the lining cells and when large enough the blood vessel breaks open. Another mechanism is from a very recent study described signals from the cancer that induce cell death of the vessel lining cells. Most of the clusters that start growing in a distant tissue are not prepared to thrive. They can instead become quiet (dormant), not grow, or they can be removed. These have not developed supportive relationships with all the local tissue cells. Dormant cells can survive for long times in kidneys, breast, and prostate (decades). The original cancer had altered the local tissue cells to become assistants (stromal cells). These supportive cells make many factors that help the cancer grow. The cellular matrix was altered to help the cancer and stop other normal cells to thrive. Local tissue cells can produce signals that cause the cancer cells to become dormant. Factors that prevent growth in the new environment include a lack of the ability to make new blood vessels and inability to inhibit immune cells. In the new tissues, newly landed clusters must be able to take advantage of factors secreted in that tissue for other cells (CSCL12 in bone for example). The cancer must be able to actively transform matrix through signals. This trick includes forming finger like outpouchings of the cells (filopodium like protrusions or FLPs) that have a special integrin molecule that helps transform the matrix. They must have these attachment devises to remodel matrix and create the new niche. Several pathways must be triggered. Specific signals have been found that help the cells not become dormant, such as TGF-b2 in bone. Many other factors and cytokines are being found (BMP). These factors work by affecting phases of cell reproduction, which can be paused. Despite being dormant, cells can create a special living environment (called the dormant niche) where they can live happily for a long time. These cells can be resistant to treatment. Special niche environments are usually used by tissue stem cells and they are taken over by this cancer cell. These are often near blood vessels since capillaries have a special relationship with stem cells in each tissue. With active conversations occurring between capillary cells and the stem cell niche, blood vessel signals can maintain the dormant cancer colony or single cell. These dormant cells in the niche send signals that inhibit natural killer cells and other immune cells. 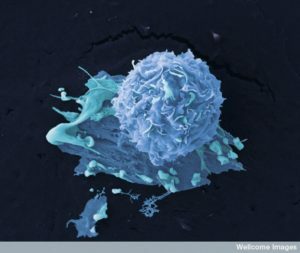 These immune cells participate in stimulating the cancer cells to become dormant. 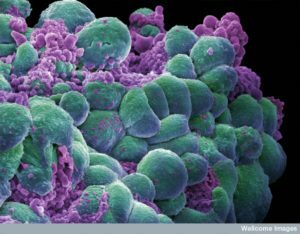 However, T cells continue to fight against the cancer cells. Are Cancer Stem Cells Necessary for New Colonies? The EMT program stimulates stem cell like characteristics. Some research shows that metastases need stem cells to initiate new colonies with special pathways (Wnt and Notch). These cells are altered by epigenetic mechanisms to have more genetic programs available. The dormant and latent cells often have these stem cell characteristics. Special gene networks are needed for EMT, stem cells, and dormancy. What was not clear is that these stem cells can sit for a long time before becoming active. This is true even though the eventual metastatic cancer has similar cell types as the original primary cancer. This is hard to explain since the cells have been changed by EMT and other networks. This seemingly inconsistent finding is explained by the fact that cells undergo reversal of EMT characteristics where the original epithelial state is part of the new colony. 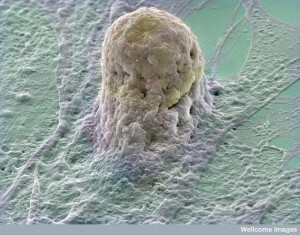 New cells born in the metastasis undergo this reversal. What is unclear is why mesenchymal cells cannot grow their new metastasis. To succeed, the cancer cell must start a tumor and thrive with the new local environment signals. The particular cancer cells are better dealing with some tissues than others, but still have to change and adapt to communicate with local cells. Success is not determined just by traveling in the direction of the local blood vessels. There are tissue characteristics that help a particular primary tumor survive in the new tissues. Breast and prostate to bone for example. Specific pathways to adapt are found for bone, lung, liver, and brain. In brain, astrocytes make plasmin that kills cancers. Neurons make serpins which fight this toxin, which helps the cancer cell. In lung, they make particular substances that protects them. In liver a different pattern emerges. In bone, breast cancer cells produce multiple unique factors that increase osteoclast activity and they reply by producing molecules that increase cancer cell activity. This creates a back and forth secretion that increases both, causing the cancer cell to feel very much at home. This vicious cycle increases bone metastasis. Prostate does almost the same by stimulating osteoblast cells and a back and forth mutually beneficial conversation. In the brain, breast cancer cells talk with astrocytes with special electrical synapses (gap junctions) between the two cells—the astrocyte and the cancer cell. Waking up sleeping cancer cells can occur after some time, when a unique set of signals occurs by one of the cells. Out of thousands of cells, one cell can start this effect, which explains why there is a low rate of success for cancer cells starting functional metastases. A set of signals can occur that interacts successfully in many different organs and environments. One of these involves the extra cellular matrix, where specific signals appear to effect many different organs. This effect explains how suddenly multiple metastatic lesions appear in different far flung organs (metastatic showers). An entirely different process can occur, where cells living normally in a tissue can become a metastatic colony for a distant primary cancer of a different type of tissue. Active mobile mesechymal cells and their dynamic extra cellular matrix can be involved. These changes occur in a similar way to the primary cancer with support and changes from the local cells. This is similar to sleeping cancer cells awakening stimulated by local conversations. When new blood vessels are being produced, these lining cells can secrete signals that alter dormancy, enhancing the mesenchymal cancer prone actions in the stem cell niches near the blood vessels. 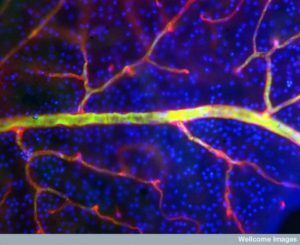 In the brain, new blood vessels appear to stimulate active lesions from sleeping ones. Inflammation can increase this process also. The support from matrix appears to be essential as well. Cancer cells contribute to this active supportive matrix, but also stimulate other cells to do the same. Fibroblasts cause fibrosis which contributes to the cancer niche. The amount of stiffness in the matrix is determined by more cross links in the collagen structure and creates better metastatic environment. This also induces a low oxygen situation that helps the cancer as well. There are many other factors that help this process. 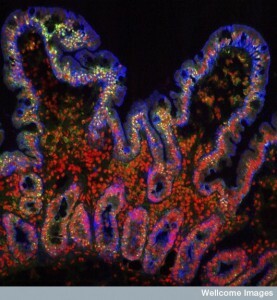 CD8+ T cells and killer cells can stop metastasis. In the lung, more oxygen decreases T cell effects, which helps metastasis by slowing T cell activity. Special macrophages also help metastasis. Inflammation with neutrophils helps also. Sometimes, the niche exists before the cancer cells arrive, because of effects from bone marrow cells. A previous post noted that cancers can send information filled sacs called exosomes with genetic information to prepare to create a niche. This sac carries DNA, messenger RNAs, microRNAs, and proteins all to alter the environment in a distant tissue. These are sent before the cancer cells arrive. Primary tumors are making many different efforts to alter local cells and then distant cells. These exosomes can also stimulate sleeping clusters of cancer cells as well. A series of mutations can cause cancers to develop. 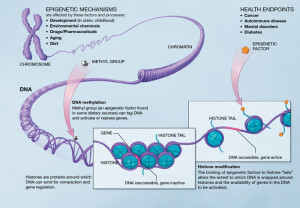 This process includes alterations of epigenetic tags as well. What has surprised researchers is how variable these mutations can be in one type of cancer, individuals with the same cancer, and even clusters of cells within one cancer. But, thus far, specific mutations for metastasis are not well known beyond for the primary cancer. There are specific gene networks that suppress cancers, and some that suppress metastatic pathways as well by stopping their ability to adjust to the environment. Recent data show alterations in the 3D shape of the chromatin are relevant factors. These new shapes appeared to help adjustment to a new niche. The fact is that while the first part of metastasis is related to EMT, the further colonization still remains a mystery. The conversations between the landing cancer cells and their new complex colleagues are still too complex to understand. Many different cellular conversations create distant cancer colonies. It often starts with the transition from epithelium to mesenchyme, a process from the fetus. Survival of these colonies depends on the ability to maintain the cells in a new environment, to produce unique communication with the supportive cells of the new tissue, and to create an active helpful matrix between the cells. The successful metastatic colony has already advanced through all of the primary stages of the cancer and then the production of the new niche. They often started as a subset of the original tumor. But, they occur in many ways including teaching distant cells to become cancerous through education of the stem cell niche. As these many factors and conversations are learned, then specific types of treatment will be developed for many different kinds of cancers and metastases. This entry was posted in Blog, Cellular Intelligence and tagged endothelial mesenchymal transition, dormant cancer cells, cancer stem cells. Bookmark the permalink.